As football fans gear up for Super Bowl Sunday, they'll buy more than 50 million pounds of avocados, almost all of which will be transformed into guacamole. How will all this guacamole get eaten? With chips, of course. 15, 000 tons of chips. That's enough guacamole to cover a football field, end zone to end zone, waist deep. Guacamole couldn't be easier to make, so skip the pre-made containers at the super market and make your own this year. Though I love traditional guacamole, I'll be making my Roasted Tomatillo Guacamole Sunday, a palette-tingling concoction of silky avocado, tangy tomatillos, and hot serrano chili. Tomatillos (toh-MAH-tee-YOS), also known as green tomatoes, are a staple in Mexican cuisine, beloved for their tart, citric flavor, not unlike a Granny Smith apple. When selecting, look for smooth, crisp, papery skin and firm, brightly colored green fruit. Even though I have eaten the following Super Bowl dishes several times in preparation for my NPR piece, Kicking Off A New Super Bowl Menu, I'll be making them again on Sunday. After all, if I don't have a hot bowl of Chocolate-Chipotle Chili to eat at halftime, what else am I going to do to distract myself from the halftime show? 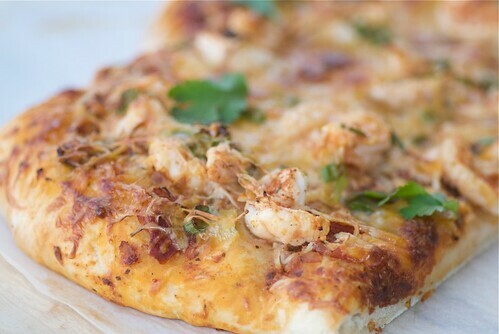 I also wouldn't feel right celebrating Super Bowl Sunday without my good friend, Jose Cuervo, and the Tequila-Lime Shrimp Pizza he inspired. As for chicken wings, well, come on, you have to eat chicken wings on Super Bowl Sunday. 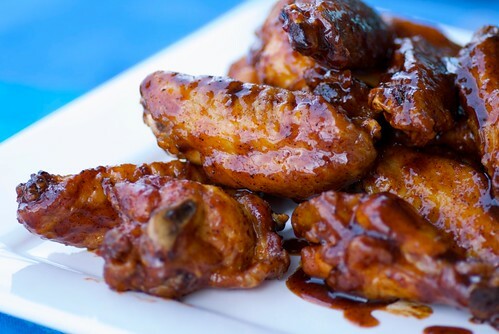 It doesn't matter if they're classic buffalo wings or these Maple-Chili-Beer Chicken Wings. Just remember, Chicken wings : Super Bowl Sunday :: Turkey : Thanksgiving. 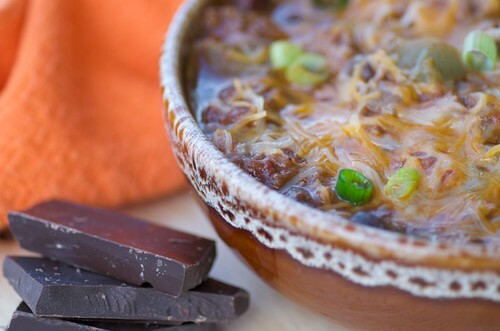 Chocolate Chipotle Chili? I think I love you. Is that awkward? I'm not really a football fan, but I love SuperBowl inspired recipes. I've recently started using Tomatillos and I love them. Will have to try the guacamole. I love this collection of southwest inspired dishes! Perfect for football watching this Sunday! I love tomatillos. Those wings look finger-lickin' good! Well, I'm not too interested in the Super Bowl (gasp! ), but I'd love to hanging out at your house and enjoying this wonderful menu! Wow! This makes me want to have a Super Bowl party, even though we (the Vikings) got beat out of it. I always make the traditional type of guacamole. Would love to try yours. Yum! Lots of options to choose from, and all look good. Yum! It's not even 8am yet and now I want superbowl food. Wnat's a superbowl party without dip, wings and pizza. Great recipes all around. 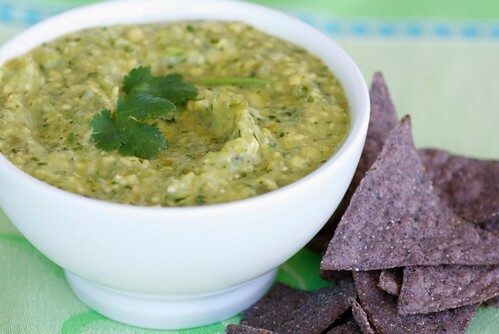 I love guacamole and tomatillo-based sauces, so this one is right up my alley.